There’s been a major internet controversy this last week after Tish Harrison Warren, an Anglican priest who writes at Christianity Today, launched a series at CT around amplifying the voices of women in the church. Tish pointed out the problem (and yes I believe it is a problem) of the growing platform of Christian women teaching as Christian authorities without simultaneously being under authority themselves. Her point is that this is often a result of two things. One, women are not always valued, trained, and used in their own churches so that they are looking for a way to be used outside of their church and gravitate toward parachurch ministry. 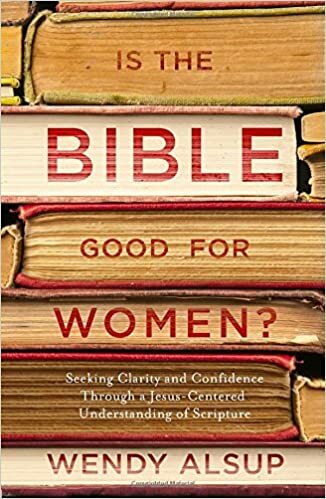 Two, women often don’t have trusted resources in their own churches/denominations so that they go outside of their traditions and identify with generic Christian women writers who are not attached to their denomination or tradition and don’t share their values or convictions. Tish brought up the name of Jen Hatmaker in her article, to great consternation in the evangelical twitterverse. But Jen Hatmaker is actually a seminal case study in this because she wrote for and was promoted by conservative Lifeway while simultaneously (it appears in retrospect) being a female pastor who affirms gay marriage (both of which are against Lifeway’s values). Great grief could have been spared both her and the churches/women who used her books if she had been promoted instead in a tradition consistent with her beliefs or if those using her books of different doctrines/values than her had been better trained themselves within their own churches to note the differences. To folks that hate that anyone mentions Jen Hatmaker in this discussion, I will point out that she herself has brought attention to how she has been harmed by this phenomenon. Like it or not, this discussion was brought to a head by Jen herself, something we all must take into account when we start publishing personal things on blogs that are open to anyone to read, particularly when we start making an income from others interest in our lives and beliefs. My own journey to blogging and (small) platform is informative to this general discussion. I was under the authority of the elders at Mars Hill Church in Seattle. Mark Driscoll promoted me to Crossway and approved the manuscript of my first book, Practical Theology for Women, which was printed under his Re:Lit imprint at Crossway. But around the time of its publication, Mark fired elders who were in theory part of his accountability structure. I left Mars Hill at that time and began my own blog. For a season, I had little church accountability. As many of my friends did post-Mars Hill, I eventually moved into a church and denomination with a stronger accountability structure than the one at Mars Hill. I no longer willingly submit to someone as pastor who isn’t under submission to his own spiritual authority structure. Though my denomination is far from perfect, I love that even in matters of church discipline, my own pastors are held accountable by their presbytery who is held accountable by the larger denomination who conforms to the orthodox confessions that have bounded our denomination for many years. In the last few years as my tiny platform grew to being a medium size platform, I have seen my own need for accountability. I submit to my church elders, and it has helped me to start meeting with my pastor every few weeks to discuss ministry opportunities I have both in the church and outside of it through blogging and writing. I see my public ministry as initiating in my church and moving out from it, attached to it. The interesting thing to me is the outcry in the wake of Tish’s article that has taken several forms. 1) How dare you mention Jen Hatmaker?! This is the loudest outcry, and I don’t have a ton of sympathy for it. How could you not mention Jen Hatmaker?! She is the case study in a woman being used and promoted in churches and denominations of which she was neither submitted or accountable. The personal cost not just to the readers and churches who used her materials but to HERSELF should make us all pause to consider how it came to be that way and what each of us can do as both readers and writers to plow a different path. 2) Why didn’t Tish mention male bloggers? I do have sympathy for this concern. But I think Tish likely does as well. And to be fair to Christianity Today, they have written on major male figures who have said concerning things (see this post for example) over the years. I can say with clarity that I have been concerned about the Matt Walsh’s and Mark Driscoll’s of the internet world and have written accordingly when I thought appropriate. 3) Where are the women of color in the platform discussion? The discussions about platform and authority that I have been having personally involve women of color who speak into this with clarity and conviction, who mutually share my burden for women writers being attached to an authority that is bigger than themselves. I think Christianity Today’s editorial team is sensitive to their need to listen to voices of color as well and is actively pursuing diverse voices to speak into their series. BUT I was reminded by Jemar Tisby’s op-ed in The Washington Post how inadequate pursuing black voices after the fact can be when they are not equipped to speak authoritatively on the front end. Soliciting black authors is important, but they can’t make up for not having people of color who hold positions of authority in an organization. May all of us strive toward racial diversity at all levels of authority in churches and parachurch organizations, reflecting the reconciliation we experience to both God and others through the gospel. In conclusion, there is great blessing in attaching ourselves individually to something bigger than ourselves in terms of spiritual speaking and teaching. But I also note that spiritual authority structures (denominations in particular) who hold orthodox beliefs as outlined in the old creeds and confessions have certainly not been perfect. Great abuse, particularly in American denominations in regard to race and slavery, has taken place. But, here’s the thing. The blessing of the modern Church will not be when it moves away from Scripture (such as away from the explicit sexual ethic concerning marriage between a man and a woman taught throughout both the Old and New Testament) but as it moves closer to it (such as the explicit commands on the sanctity of all human life, including the care of the poor and immigrant). I am intrigued by the African Anglican church, which stood against both apartheid and normalizing homosexuality in the church, as an example of this. The American church doesn’t need less church authority. It needs more, but more tied to the authority of Scripture itself. As Dr. Christina Edmonson, Dean of Intercultural Student Development at Calvin College, said on a recent podcast about why the church matters, “It should not have taken a war to end slavery. It should have taken church discipline.” I believe the same about the care of the poor and the rights of immigrants. Greater fidelity TO Scripture not away from it is the answer to these ills in society. And it is to the benefit of both bloggers and readers, publishing houses and authors, when we examine ourselves in light of old truths and seek to conform ourselves and other church authority to its supreme authority. I appreciate this article. I also appreciate that you seek out and value biblical authority in your life and subsequent ministry! Thanks for this article! In light of what you have written, it might be wise or helpful to your readers for you to add the name of your church or denomination to the “About the Author” bio. I read this post almost 2 weeks ago and have still been thinking about it. So much so that, as someone who would like to do more writing and teaching, I have been looking into options for working towards a master’s degree in theology or a related field. I am not part of a church tradition that has a lot of spiritual authority structure, so I don’t even know what the blessing and accountability of my spiritual leaders would look like. Like you, though, I am concerned about the lack of checks and balances. I am grateful for the many voices who have found a way to be heard via the internet, but I take seriously the admonishment that those who call themselves teachers will incur stricter judgment. I don’t know how exactly all of this is to work out in my own life, but I thank you for the challenge. Today I saw this post in response to Tish’s article that you might also be interested in reading. I’m glad it’s making you think, Mary. It’s making me too! I’ve been talking with folks at a few seminaries looking specifically at how they can help women in particular get better theological training, so that’s encouraging. That article was a s good summary of the conversation. Thanks for sharing.